The Titan-C optimizes its big capacity and energy efficiency.Not only efficiency is high, but washing and drying performance is wonderful. Moreover,the stylish design will attract people’s attention. LG Commercial washers are equipped with detergent injection supply. This system controls 5 individual trigger signals for liquid supply injection. This makes it very simple for your detergent suppliers to connect their liquid supply system to the machine. 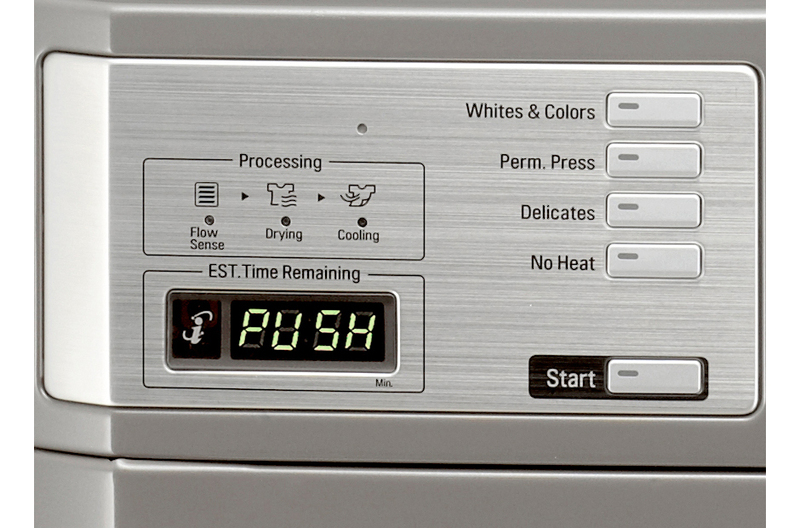 LG Conventional dryers control air and gas flow by turning the unit ON and OFF. 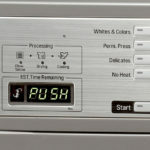 Instead, LG Commercial Dryers allocate the appropriate amount of gas and air into several sections to control air flow. This significantly increases energy efficiency. LG Commercial Dryers incorporate the sturdy motor additionally and it provides better air flow and heating system. 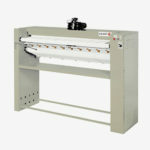 This creates better drying action and increases dry capacity. Unlike the traditional belt and pulley, the LG Commercial Laundry drum is directly attached to the motor providing superior durability and reliability. Less parts equal less repairs. Our powder coated finish creates the same durability as it does when painting a car. It is sure to last long and provide an easy to clean exterior. To ensure superior performance LG heat treats the shaft which connects our drums and motors. This protects against gradual wear and tear. No worries about detergent spilling from a soap drawer down the front of this machine. The LG top mounted soap dispenser makes it easy to keep things clean. Multiple dampers absorb vibration and reduce noise creating a quieter washing environment. The front access panel is constructed of strong coated steel – not plastic, to enhance reliability and provide an important security barrier for the coin box and vault as well as the machine control assembly. 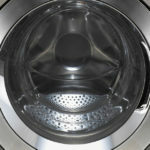 The stainless steel drum helps prevent clothes from staining or damages during the wash cycle. The tempered glass door is less susceptible to breakage and scratching, while the transparent cover allows for easy viewing. The small cabinet size with bigger washing capacity and stackable design allows more customers and more machines in limited space. The Atomizing nozzle sprays fresh water onto the clothes and the door. This helps produces a rapid fill so clothes are soaked sooner and longer providing a better washing performance. It also cleans the door glass every time the water sprays on it, reducing your burden of cleaning any excess soap residue. 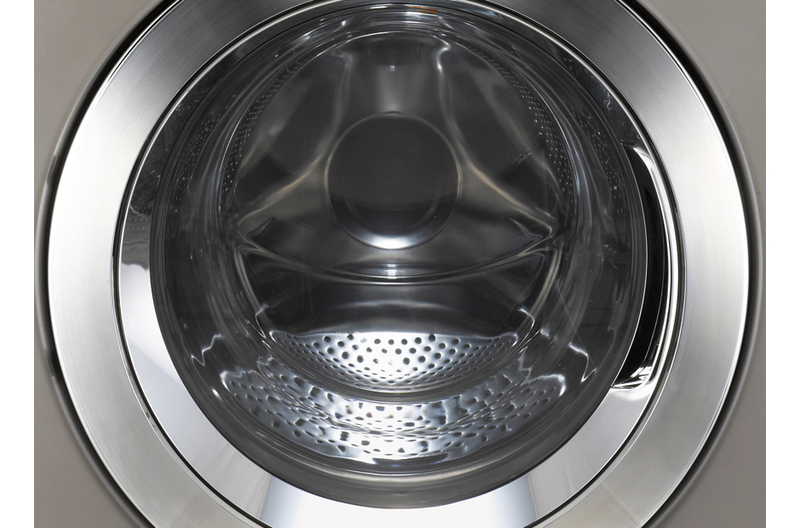 When an LG Commercial Washer detects over-suds during a washing cycle, it moves into a suds reduction process which delivers a better washing performance. LG’s Commercial Washer tub is tilted at 10°. It enables the washer to have a higher level of water in the tub than the competition. This allows us to use less water while not sacrificing superior washing performance. The surface of the embossed inner drum increases the amount of contact with fabric. This creates better washing action and helps remove more dirt and stains. A dirty tub from hours of long operation can affect washing performance. Our tub cleaning program helps you keep a clean tub even in the busiest locations. 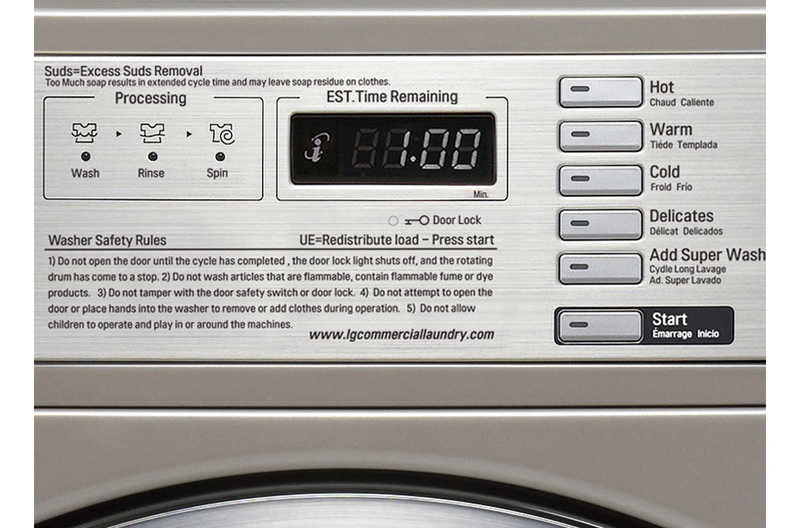 Users can design their own programs such as washing time, rinse time, water level, etc. and save up to 20 washing programs to meet optimized washing performance. 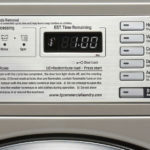 Intuitive programming controls allow operators to choose from a variety of functions and programs, including price, cycle time, cycle parameters, spin-speed and more, ensuring that all washing requirements are met. LG Commercial Laundry products are all front service accessible. Valuable service time will never be wasted gaining access to key service elements. Our mission is to make customers happy and enjoy doing laundry with LG Commercial machines. Easy to read directions in multiple languages. The direction of the door swing can be easily changed to the customer’s preference, left or right, with no additional parts required.